In this fictional narrative, children spend a cloud-free day playing outside. 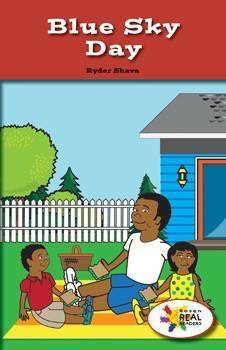 Through descriptive text structure, key ideas, and bright illustrations, readers will learn about fun activities they can experience outside on a lovely day. This fiction title is paired with the nonfiction title All About the Sky.